Part II of our five-year anniversary features another one of our expert teaching staff, Ms. Leila Kosiba. You can see part I of our celebration series here. Our Head of School Mr. Walker took a few moments to share some thoughts about the incomparable Ms. Kosiba. I first saw Ms. Kosiba teach back in the mists of time (before we opened BASIS Independent Silicon Valley). She was visiting Arizona and I had the pleasure of watching her give a demo French class to BASIS Scottsdale students. They, and I, loved the class! There was an obvious passion in her teaching and the students were instantly connected to her. At BASIS Independent Silicon Valley, Ms. Kosiba has taught every level of French from 7th Grade to Capstone. She has enriched our community with her dedication to French learning and her insights into life in New Caledonia. Ms. Kosiba has been a French Subject Expert Teacher at BASIS Independent Silicon Valley since we first opened. 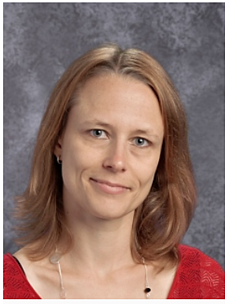 She has primarily worked with students in the middle school years. 1. You have spent the majority of your years at BASIS Independent Silicon Valley teaching middle school students. What is the primary difference you see between students who join us in middle school versus in grade 9? I currently have a grade 9 class. Most of the students in my class started at BISV in grades 5 or 6. I can see that these students are more organized. They also seem less stressed or worried about the work load they have. I think that over the years, they have learned how to manage their time. I have a few students in this same class who are new to BISV. They seem to have a bit of a harder time keeping track of everything. 2. What do you enjoy most about the age group that you teach? 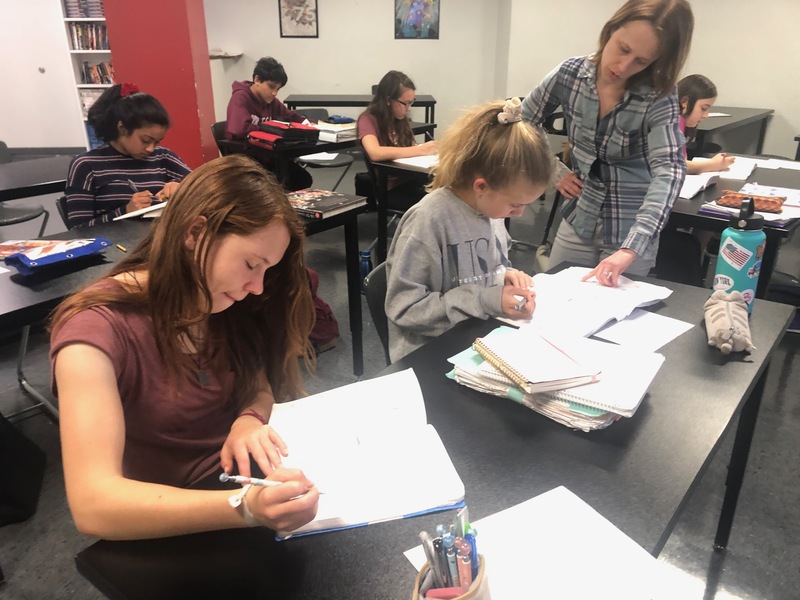 For world languages, grades 7, 8, and 9 is when students in the BASIS Curriculum truly hone their language skills after developing a foundation in the earlier years. In these formative years, you can really see how these students are able to soak up all this knowledge and gain linguistic skills with relative ease. 3. It’s your five-year anniversary at BASIS Independent Silicon Valley; what are you reflecting on this year? What keeps you coming back each year? First of all, I have enjoyed seeing the school, as a whole, grow and improve over the years. Each year processes and schedules run smoother, the environment grows warmer, and the BISV culture and pride grows stronger. But the main thing that brings me back each year is the students. I am lucky to teach the same groups over a course of several years. It is a pleasure to see them grow and mature into young adults. This year’s seniors were my 8th graders when the school first opened. We have built relationships over the past five years and I will be sad to see them go, but also very happy for them to have done such a great job navigating this school. They are one of our pioneer groups. Something that I get at this school that I don’t think I would get anywhere else, is the ability to do so many things that I love, and share these activities with our students. I get to teach French and share my love of the language and culture. I also get to guide a Modern Dance workshop during term project week each year, where I can share my love for dance. Then on top of that, I am able to teach a new course this year—French Translation and Philosophy—where I can explore many philosophical questions with our bright young thinkers. 4. You are incredibly active in our enrichment activities and act as a mentor to students by advising clubs. How different is it to interact with a student in that capacity than in the classroom? I love seeing students do things because they truly want to. In the club environment, without the requirement of grades, and without it being mandatory, they still want to learn, explore, and create! 5. Can you share an anecdote about a student from your first year at BASIS Independent Silicon Valley, and what he or she may be up to now? A student that I had in grade 7 when we first opened, is now in grade 11 (Ellen L.). She has been able to take advantage of the great theater program that we have. Last year she was in the school musical. She does well in my class and she is also a very good singer and actor. There is another student in the same group who is a great volleyball player for our school (Deepti K.). I think she is the team captain, and our team has been beating other schools left and right! It is inspiring to see the students flourish in other areas besides academics, and all within the programs we offer. 6. You have two of your own children enrolled in the Middle School Program, what are you most excited for them to experience at BASIS Independent Silicon Valley? I know that they will be taught by people who have a passion for their subjects. I’m excited for them to have quality classes in art and music on top of science, math, etc. It is great to see them both enjoying Latin, which is a subject that is rare to find at other middle schools. It is relieving to know that if we ever decided to move back to France, they will have a level of education similar to a European school, and would be more likely to fit in academically, and not be behind the other students in their grade. Want to learn more about BASIS Independent Silicon Valley? Join our Interest List for upcoming admissions events, program information, and more.